It’s that time of year where we brace ourselves for what’s to come. Yet before we say au revoir to 2014 the CineVue team has taken the time to cogitate on the cinematic delights of the past twelve months. This year we’ve decided to split the list in two; partly to help promote indie films we’re passionate about, but also to celebrate just how great a year it’s been. Even though CineVue is a UK-based film blog, we pride ourselves on our festival coverage and as such have decided to allow any film that has received a world or UK premiere during this year’s festival circuit to be nominated. Yes some of these films haven’t received a UK theatrical release, but in a world where on-demand services are pulling apart the theatrical model we believe it’s important to champion some of cinema’s braver, more eclectic films. Each of our writers picked their own top ten and films were scored according to how they were ranked in each writer’s list. Therefore a writer’s number one film scored 10 points, whilst their second favourite scored 9 points; and so on and so forth. This way films are rewarded for their individual qualities rather than merely on popular opinion. It’s great to see such an eclectic selection of films including a diverse mix of European and Asian titles, independent and studio films and works from directors young and old. There’s also a nice mix of experimental, fictional and documentary films, although genre cinema such as horror and comedy is notable in its absence. Sadly there are only two female directors included in this year’s top ten and not a single film from either South America or Africa – this demonstrates the strong gender and cultural bias of the industry, rather than a lack of quality content. Part two of the list will be released on Monday 22 December and will include links to each individual writer’s top ten. Any list like this is bound to arouse debates and we actively encourage you to let us know your own cinematic highlights of 2014 by getting in touch with us over on Twitter at @CineVue, or sounding off in the comments below. Seen in archive footage from the late 1980s, the incredulity with which a white South African speaks of the attitude shift amongst black South Africans is nauseating to watch; “they think they’re going to own houses and cars!” he exclaims, revealing his inherent classification of non-whites as essentially non-human. Such acute moments of ideological, as well as physical violence are essential to the power of Olsson’s Concerning Violence, to demonstrate the core intent and urgency behind the struggle for liberation in the Third World. Narrated by Lauren Hill from Frantz Fanon’s The Wretched of the Earth, Concerning Violence is a deeply textural, efficiently emotive and essential cinematic essay [HW]. Read Patrick Gamble’s review here. Inherent Vice shows Anderson at his best, just as compelling as his two dramas of the American psyche – There Will Be Blood and The Master – this continues the theme in lighter fashion, a woozy, dazed and confused LA noir set when the psychedelic 60s turned into the paranoid Nixonian 70s. Joaquin Phoenix is wonderfully off-set as PI Doc Sportello, a doped-up kitch version of Humphrey Bogart’s Marlowe, who stumbles upon puzzling plot points from one seedy LA institution to the next. Vice might frustrate some with its lack of coherent narrative (the stoner phrase “just go with it” springs to mind), but the company of one of the best casts of the year is plenty to chew on. [Ed Frankl] Read Craig William’s review here. Set in the banlieues of the Parisian suburbs, Girlhood is the story of Marieme, a teenage black girl finding her feet in a society which has let down her class and her race. In a finely tuned performance by Karidja Touré, who has the presence of a young Jennifer Lawrence, Marieme subverts the expectations of her class, upbringing and skin colour. Sciamma’s latest, and best, has a social and political scope, but it’s also enormous fun, as Marieme is supported by a troupe of new friends (all first-time actors), culminating in one of the year’s best scenes, where they all sing Rihanna’s Diamond as an affirmation of new-found sisterhood. And does this film shine. [Ed Frankl] Read Patrick Gamble’s review from this year’s BFI London Film Festival here. The curtain rose on Alejandro González Iñárritu’s Birdman or (The Unexpected Virtue of Ingorance) with a fanfare when it premiered at the Venice Film Festival back in August, and while opinion wavered a little throughout the rest of the year, it still seems to be showing strong ahead of awards season. Accused of being shallow in some quarters, this freewheeling theatrical spectacular is, in fact, anything but. Built around a fabulous lead turn by Michael Keaton, the stage is set for a troupe of fine performances in a piercing character study about the masks we all wear. Elsewhere it’s a hilarious, tragic satire of celebrity and artistic endeavour set to a thrumming jazz rhythm. [BN] Read John Bleasdale’s review from this year’s Venice Film Festival here. In his latest documentary Loznitsa plunges us into the midst of the recent protests in Kiev. He maintains an unyielding distance throughout, allowing the collective voice of the people to become the stimulus that rouses the film to march forward with an intoxicating sense of immediacy. The camera only moves twice, yet both instances resonates with great socio-political significance, and as this explosive melting pot of nationalism, social inequality and collectivism inevitably escalates into violence we quickly realise that this is history in the making. As pure as documentary filmmaking can be, Maidan is a profoundly dynamic testimony of events that creates a genuine sense of time and place. [PG] Read Ben Nicholson’s DocHouse review here. There is a thought that memory and history go hand in hand with cinema’s potential for transcendental poise. With Pedro Costa’s latest (which won the Best Director prize at this year’s Locarno Film Festival) we see him using familiar characters from his masterful Fountainhaus Trilogy to look at the hidden history of Cape Verdean immigrants to Portugal and post Colonial ideas of identity and self. Horse Money is a monumental achievement both in the manner and form Costa brings cinema to being. Another terrifying look at the forgotten African history that the wealth the West was built with, without ever losing the poetical mythical tropes that combine with mystical. [DM] Read Ben Nicholson’s review from this year’s Toronto Film Festival here. Commissioned by the Sensory Ethnography Lab at Harvard University Manakamana is an exquisite observational documentary that explores how a new form of transportation has played a major role in the modernisation of a developing country. Having set up a single, static camera in a cable car, Spray and Velez piece together several scenes that depict a variety of people travelling to and from the titular temple. An ostensibly laborious undertaking quickly gives way to a deeply humanistic and beguiling study of the importance of documentation through the foregrounding of beautiful mundanity. Using repetition as a form of catharsis, this may be the most perceptive and enriching docs of recent years. [Ed Frost] Read Patrick Gamble’s review here. A long-mooted ‘masterpiece’ that many thought would never see the light of day on these fair isles (a UK distribution deal seems dead in the water), Aleksei German’s Hard to Be a God finally surfaced this year at the London Film Festival following its inaugural unveiling at Rome last year. A monochrome medieval marvel, complete with enough mud, blood and donkey dung to satisfy any true serf worth his/her salt, the swansong from the late Russian director (who passed away last year, survived by his wife and filmmaking son Aleksei Jr.) almost belies description. Suffice to say those versed in the 1964 source text have had their decades of faith repaid tenfold. [DG] Read Patrick Gamble’s review from this year’s BFI London Film Festival here. Whilst discussing his 4 hour observational documentary set within a Chinese psychiatric hospital Wang Bing said; “The repetition of daily life amplifies the existence of time. And when time stops, life appears.” For almost the entirety of the film’s runtime Wang confines us to the men’s ward of a rural asylum. Marching through these concrete corridors, and cramped bedrooms we’re held hostage within a timeless sphere that forces us to think about the world outside the frame. Some of these men are mentally ill or simply outcast from society – whilst others are convicted murders. Our sole respite form the asylum sees us follow an inmate as he visits his family, with the reality of freedom far bleaker than you would imagine. [PG] Read Carol-Mei Barker’s review here. This Mike Leigh brought us a remarkable and truly luminous portrait of one of Britain’s most important artists, J.M.W. Turner. 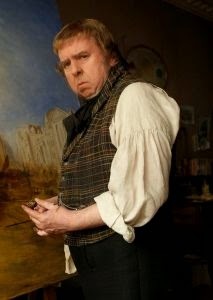 Timothy Spall’s full-blooded performance as Turner is arguably a career best. Physically his body seems to contort to resemble a pot-bellied gargoyle, grunting and spluttering across the screen. It is an earthy performance, where his bellicose temperament is captured with subtlety, always devoid of pantomime. Mr Turner is a film deeply rooted in the physicality of its world and at the same time as ethereal as light – a pungent, evocative and awe-inspiring (in the true sense of the term) celebration of a great master and his art. [JW] Read John Bleasdale’s review from this year’s Cannes Film Festival here. To see what made CineVue’s top ten films of 2014 simply click here.